In 2019, SFA will make 10 $ 2,500 awards to artists and 10 $500 awards to apprentices in the State of Arizona. Learn more and submit nominations online here. Here is a PRESS RELEASE about the program and the 2019 nominations. Support for master-apprentice learning relationships are the bread and butter of cultural transmission. At least 20 states have ongoing master-apprentice award programs; Arizona joined them when we launched our annual award in 2015. The SFA Master-Apprentice Award seeks to support and encourage the preservation and perpetuation of traditional art forms present and thriving in Arizona. 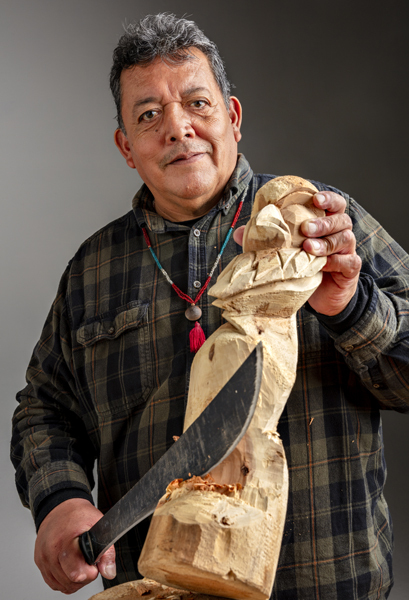 With the goal of strengthening the transmission of community-based traditions in the region, it fosters and supports the critical teaching/learning relationship between traditional artists and their apprentices. Supported in part by the National Endowment for the Arts, Arizona Commission on the Arts, and Surdna Foundation. The award supports a master artist or tradition bearer who has identified a qualified apprentice (or group of apprentices) to engage in a teaching-learning relationship that includes one-on-one mentorship and hands-on experience in a traditional artistic practice. Our highest priority is to support apprentices to learn from master artists within their own cultural traditions. Funds can be used to help cover artist fees, offset costs of raw materials, and support any travel essential to the exchange. Artists are first nominated by peers within their community, cultural institutions, apprentices, or by self-nomination. Once a nomination has been made, SFA will invite nominees to apply. The nomination selection process is based: mastery of artform and a nominee’s ability to describe how the mastery of this art form has been recognized by the artist’s cultural community and the artist’s ability to share traditional knowledge. We are particularly seeking to support artists whose cultural art form or geographic area in the State of Arizona is not represented in our roster. Nominees will be invited to apply by SFA Staff based on the above criteria. Download the 2018 press release. Anthony Belvado is a violin maker/player from the San Carlos Apache Tribe. Traditional Apache violins are made by hand from a hollowed agave stalk and embody respect for plants and community. Their song is said to be a way of summoning true love, and the tradition—which dates back to the 1800s—is passed along male lineage. Belvado learned the craft from his late grandfather, Salton Reede, Sr., and will teach the form to his grandson, Jerimiah Wilson. 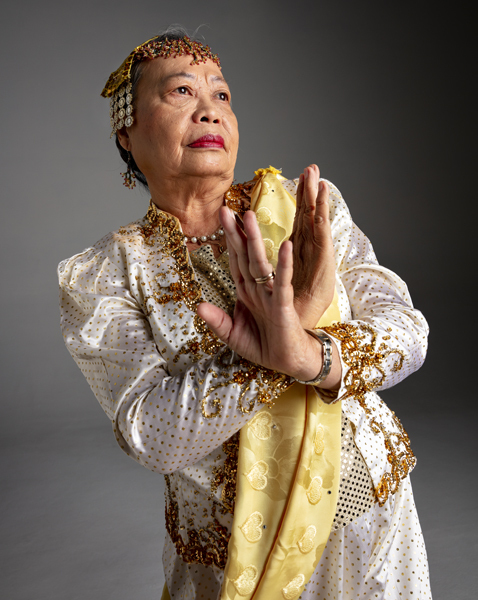 Neneng Babanto Fassler is a master performer and teacher of Philippine regional folk dances, which evoke nature, human lifestyle, work, ritual, and urban and rural environments. She learned traditional dance and music from her mother and other family members, growing up in the Philippines. Neneng has worked to share the tradition with the Filipino-American Sampaguita Club of Tucson and Bayanihan Filipino-American Club of Tucson. She will pass on traditional dances to apprentice, Jessa Luckett. Mine Calik practices the traditional Turkish art of Ebru, or paper marbling, in which color pigments are brushed onto a pan of oil-treated water then transferred to paper and used for decoration in bookbinding. 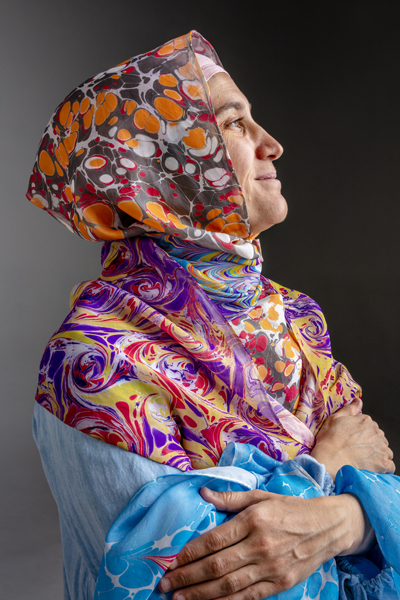 She learned Ebru from a tradition bearer in Bursa after immigrating to the United States. Mine will teach the artform to her husband, Mustafa Calik, who began learning from her by watching her demonstrations at the annual folklife festival, Tucson Meet Yourself. Fadi Iskandar is a master violinist from Syria with a deep musical understanding and knowledge of Middle Eastern music, theory, and culture. 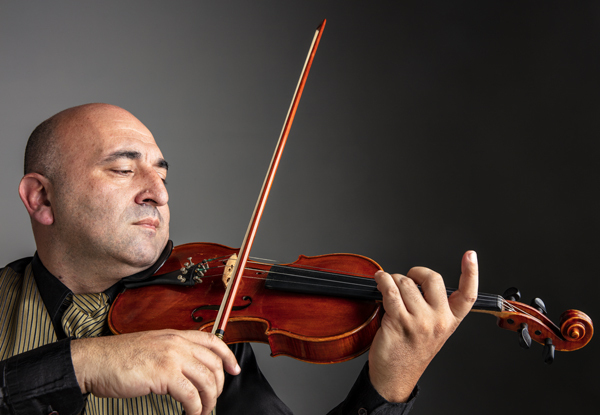 Trained as a young boy in classical violin, he then learned Middle Eastern music from elders in his community through improvisation and the practice of mastering by ear “maqam” or musical scales. His artistry is influenced by Arabic, Armenian, Syriac, Gypsy, French, Russian, Kurdish, Turkish, and Byzantine musical forms. He will work with apprentice, Isaac Zarif, a US-born student of Syrian descent. Annetta Koruh is a Hopi basket weaver from the village of Bacavi on the Third Mesa. She represents the fourth generation of basket weavers in her family. 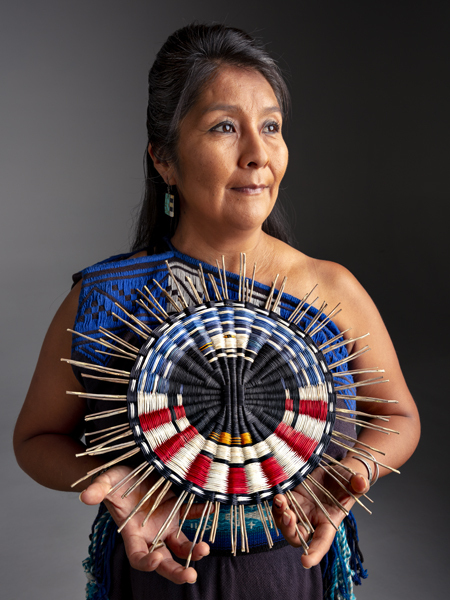 From her mother, grandmother, and great grandmother, Annetta learned to harvest and process plants used in the practice, and to design baskets in ways that reveal aspects of the Hopi way of life and the role of women within the culture. In Hopi tradition, basketry is a spiritual and healing practice. Her apprentice is Mckenna Nachie, a college student who shares Annetta’s clan and has been observing different forms of basketry since fifth grade. Jason Martinez is a flamenco dancer and cajón player. He was introduced to the artform at the University of New Mexico, with instructors Eva Encinias-Sandoval and Pablo Rodarte, and later studied with Albuquerque’s National Institute of Flamenco, and in Sevilla, Spain. An original member of Yjastros, the American Flamenco Repertory Company in Albuquerque, he has performed with artists at Festival Flamenco Internacional and toured nationally as a soloist. He now teaches and performs in Tucson. 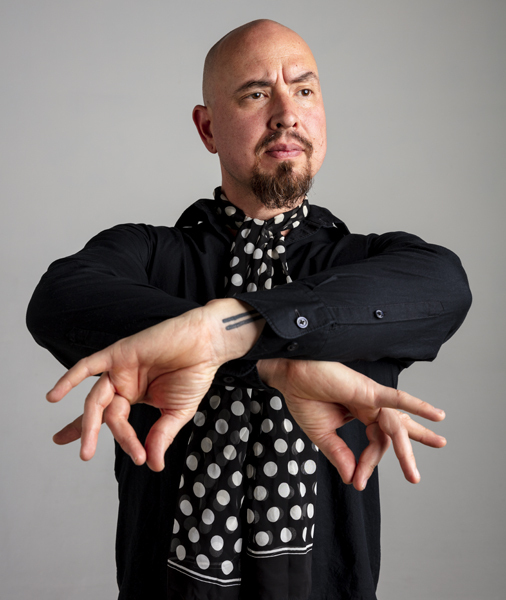 He will work with his wife Mele Martinez, also a flamenco dancer, to deepen her practice of improvisation within the artform. 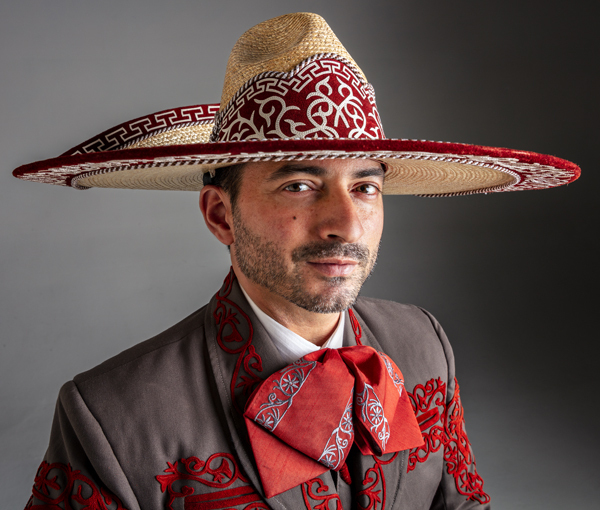 José Soto is a dancer and teacher of traditional Mexican folkloric dance. He learned the form from his mother, a seamstress and costume maker, during his childhood in Sinaloa, Mexico, where he regularly participated in annual school festivals and community events. He later studied formally at California State University Fresno with the late Ernesto Martinez and learned not only the significance of the dances throughout Mexico, but also their role in the Chicano movement in the United States. Since 2010, Soto has directed Tradiciones Dance Company in Phoenix. He will work with apprentice Hector Villalba who joined Tradiciones seven years ago at age 13. Stella Tucker is a member of the Tohono O’odham Nation and has been harvesting, processing, and preparing saguaro fruit into syrup, jam, and wine for traditional O’odham ceremony for over 65 years. The tradition has been passed down verbally and manually through songs, stories, and practice from generation to generation with no precise recipe or measurements. 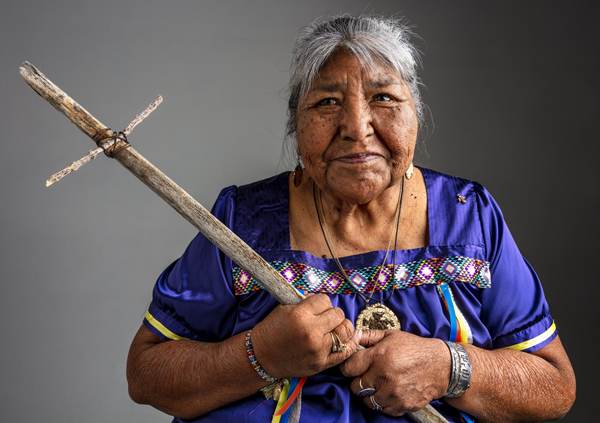 Stella has been the guardian of the annual bahidaj (saguaro fruit harvest) camp in Saguaro National Park West for the last 25 years, when she inherited the responsibility from her great aunt, Juanita Ahil. She will work with her daughter Tanisha Tucker, continuing to teach her the tradition. 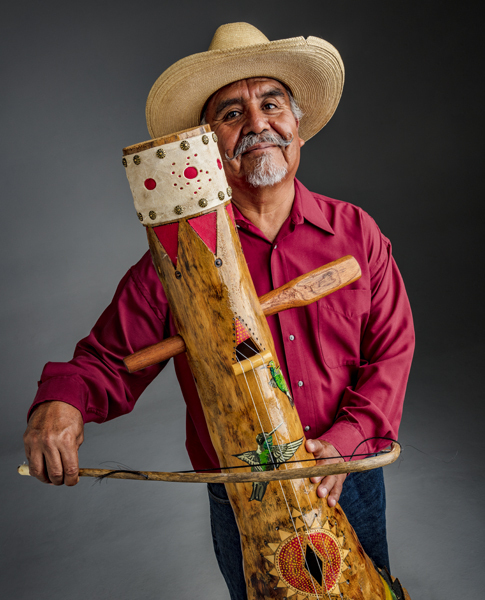 Louis David Valenzuela is a traditional Yoeme cottonwood mask maker in Southern Arizona. From trees that have died, he harvests cottonwood and receives messages from it to guide his creations. He learned the form from traditional Pascola maskmakers from New and Old Pascua in Tucson. His masks represent significant cultural animals, such as Monkey, Goat, and Rooster. He also creates masks for the sacred Deer Dance, performed annually during the Pascua Yaqui lent ceremony. Valenzuela has taught and exhibited his work throughout the state. He will teach the form to his nephew, high school student Jeremy Alvarez.